Every extra story or architectural feature you choose to your new home adds to the complexity of the drafting solutions you need to get construction started. It is not just the drawings complexity which increases but the structural demands of the home, plus added complications in getting your design approved by community planners, inspectors, and permit departments. You should be aware as the number of floors increases on your home the prices for your drafting services will probably increase, also. 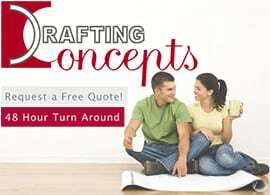 A good idea is to ask for a free quote on the drafting services once you have a firm idea of the style of home you want. As a suggestion, you may want to contact the offices of Daryl Wood at Drafting Concepts Pty Ltd. Their experience with working with contractors, home buyers, and construction supply companies allows them to give you insights in how to hold your costs down on a more complex home. Daryl’s experience in carpentry and the building supply industry allows him to speak authoritatively on ideas for creating your dream home within the budget you have in mind. Be forewarned. Daryl will not sacrifice on quality just to cut corners on cost. If they see your home cannot possibly be built for the budget you have in mind they will give you an honest appraisal of the building costs. A concern you must keep in mind when planning your multi-story home is local regulations for height, easements, and limits set forth by the city council in your area. These can deviate greatly within different communities. Make sure the draftsman Sunshine Coast or Brisbane presents to you has a deep understanding of local laws and regulatory requirements. Some communities have special fire rules; flood areas, aesthetic requirements, and other special rules may apply to even a particular development. Your choice for your drafting services must either be up to date with these rules or know how to get the information fast. Did You Consider Fire Hazards in Your Plans? Ask your Sunshine Coast draftsman or Brisbane draftsman to keep fire escape routes in mind while designing your home. You should consider having windows and ladders built into the design which allow for easy escape if a disaster would strike. The team at Drafting Concepts is familiar with specialty windows and escape ladders which can easily be implemented into your design ideas. Another factor your drafting provider must consider is the land where you are building. Does your property pose any challenges for constructing a multi-story home? You will discover many of the top drafting solutions providers will insist on visiting your property, or at minimum seeing clear photographs, to determine how the land will affect the building process. 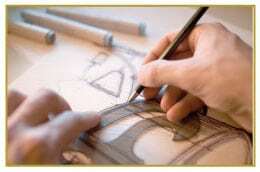 When you order your free quote from Drafting Concepts you may see time allotted for a visitation to your property. Keep in mind the higher cost of your drafting solutions is easily offset by the lower cost of floor space you get by building a multi-story home. You will also save money on the size of lot required to get the living space you will require. If you, or any family members, have difficulty with stairs make sure to let the draftsman Sunshine Coast or Brisbane know. They can add specifications for a standard lift or a stair lift to the home design to make the home 100% handicap accessible. The easiest way to get started and understand all the implications for your multi-story dream is to contact a draftsman today. A simple visit on the phone or in person will help clarify your dreams and get things underway in the most cost effective method possible.